The USB Eyepiece Camera is a special design. With digital gadget you can easily view images captured by your telescope objective lens on your laptop or desktop PC screen and save them. Just enjoy objectives and share with others, no longer squinting with one eye. 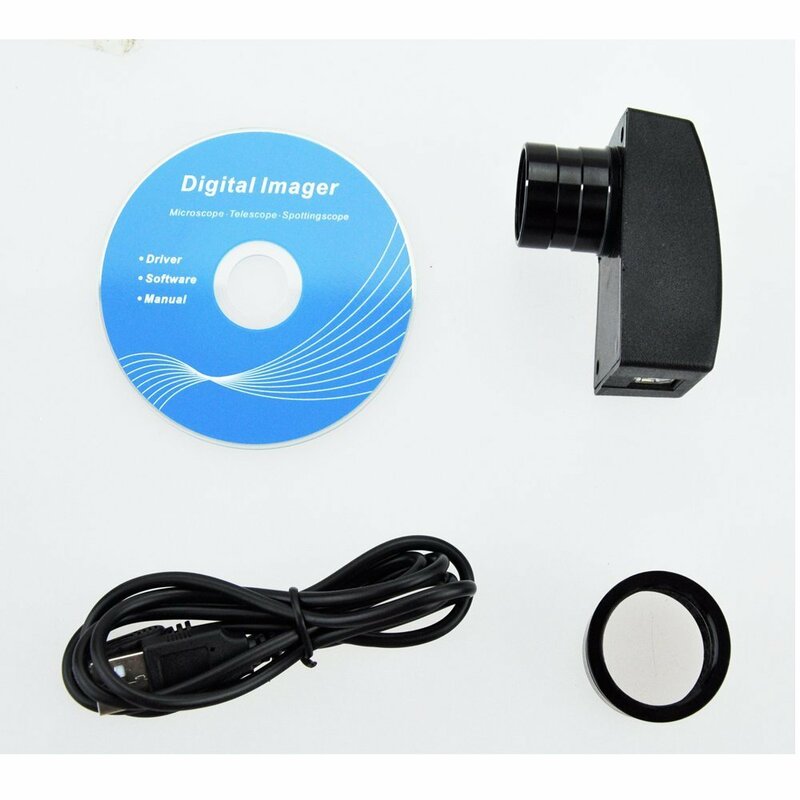 Comes with 24.5mm(0.965") and 31.75mm (1.25") eyepiece adapter, you can use it with 1.25" telescope and 0.965" telescope.High sensitivity 0.35MP color CMOS imaging module. Real active resolution, no interpolation, no jaggies in picture.1.25" adapter is threaded for standard eyepiece filters. With the software, you can display images on computer screen, shoot and make video recording. 2. Real active resolution, no interpolation, no jaggies in picture. 5. 1.25" adapter is threaded for standard eyepiece filters. 7.Compact and light-weight L-shaped shell.